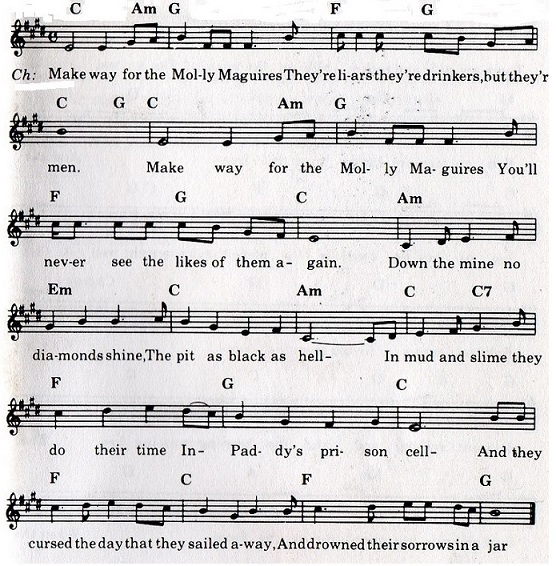 The Molly Maguires Sheet Music And Tin Whistle Notes. The first piece of music is for the whistle. The notes in ''Bold'' text are high notes. 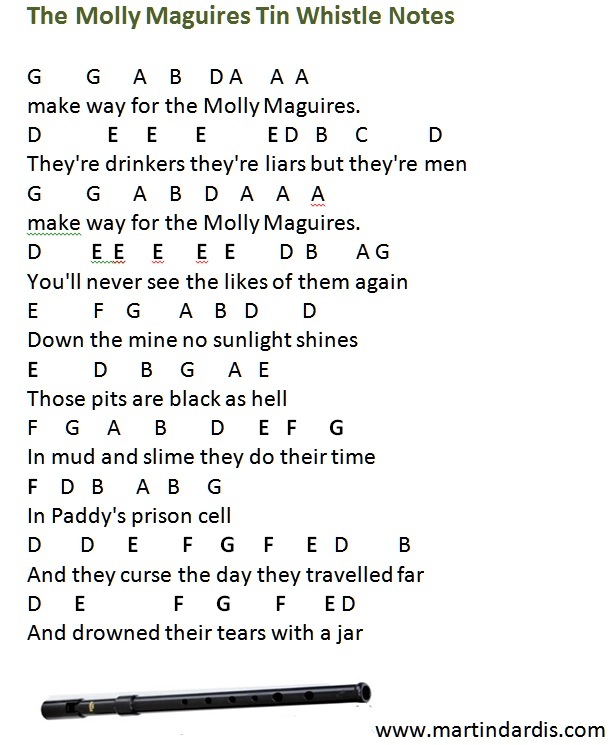 This was written by Phil Coulter and sang by Luke Kelly with The Dubliners. It's one of the very few songs recorded by the group that was not covered by many other ballad groups. I find that strange considering what a great tune it is.